Photograph This! : What would a mermaid do? seashell is a nice touch. I think Melissa came up with it. Shot with a simple speedlite and a diffuser hold by the assistant high at camera left. MUA and hair Amanda Johnson. I call it my 'unwanted child', but I learned to like this image and it is now part of my portfolio to show to the creative types. 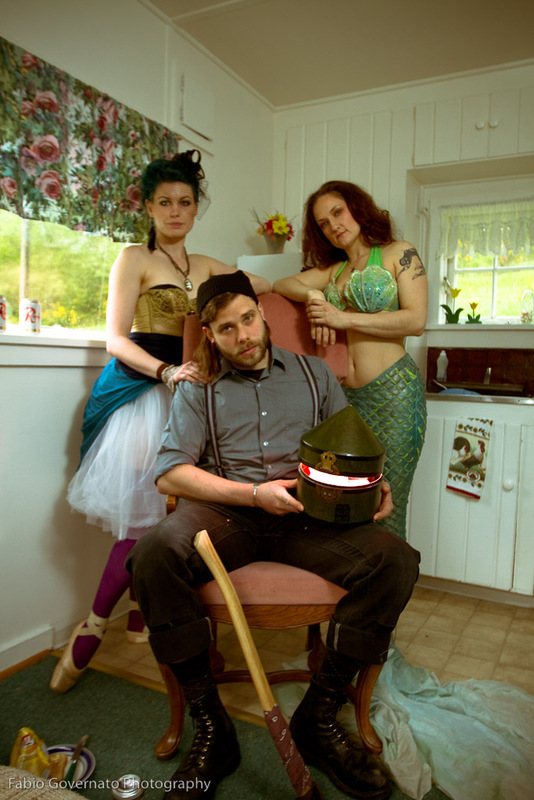 The second image is just for fun and it shows our fairy tales trio while relaxing..hi Chance and Kristin! I never really looked at this image before, but I really like it. 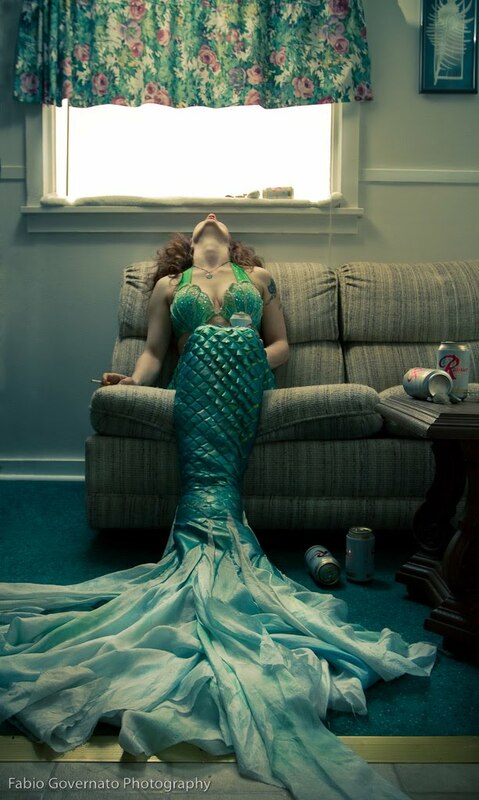 The burnt out/nostalgic/dissatisfied mermaid is every person. Good storytelling.